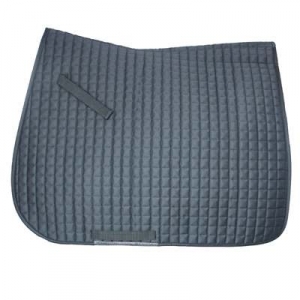 Looking for a Cotton Dressage Saddle Pad which is durable and affordable? You came to the right place. Here at Horse Tack Now we have a nice selection of Dressage Saddle Pads for you to choose from. The Cotton Dressage Saddle Pad is made of 100% cotton and features dense padding, a girth loop billet strps, wear protectors to prevent girth from chafing piping borders.We know how hard it can be to find a great deal on a Dressage Saddle Pad. This is why we offer all our products at discount prices to help our customers save and want to come back for future purchases.